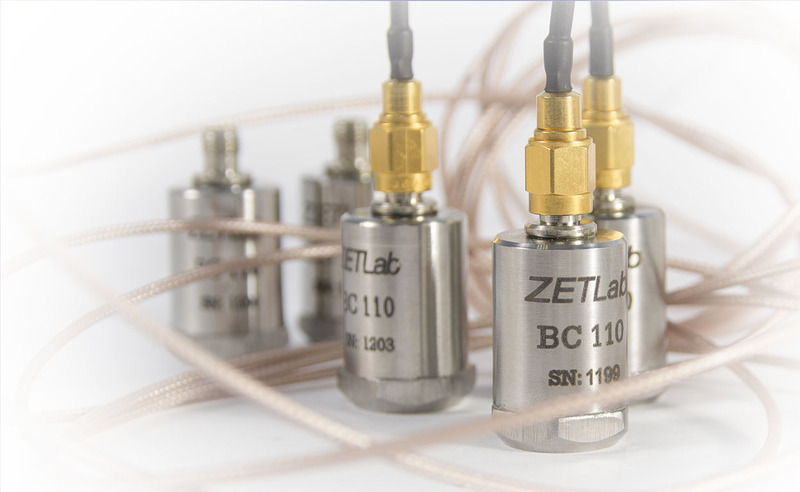 Software applications and hardware applications enable performance of wide range of vibration and acoustic measurements! Creation of versatile complexes for tests performance, technological processes control and monitoring in various operational environments. 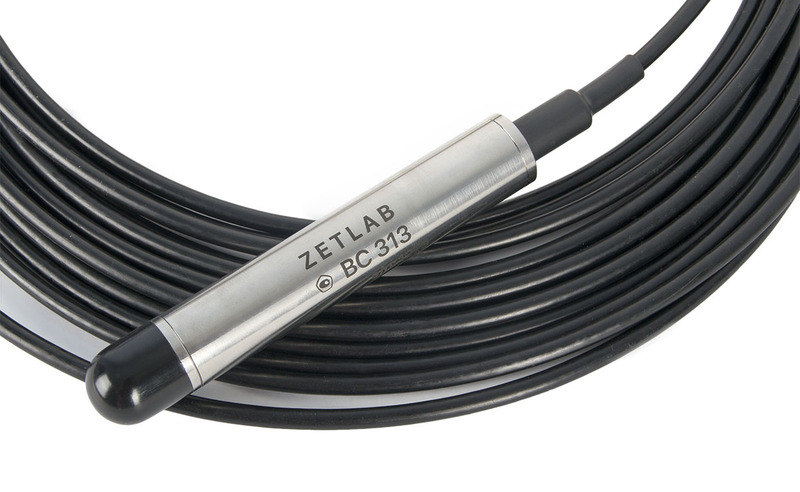 High precision, unlimited opportunities and 10-year warranty period are the results of our rich expertise! 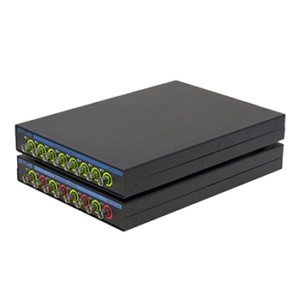 FFT spectrum analyzers are supplied with various application software and hardware configurations, thus, providing you with turnkey solutions for vibration, acoustic and hydroacoustic measurements. 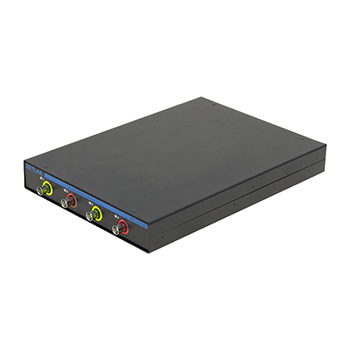 Using a single FFT Spectrum Analyzer, it is possible to develop multiple-task hardware systems that are perfectly suitable for testing procedures, as well as for process control monitoring. 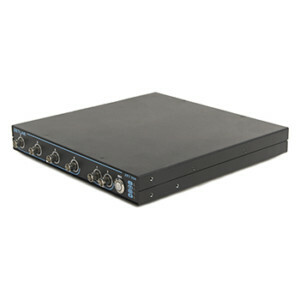 A wide range of FFT Spectrum Analyzer design variants (portable, industrial, underwater etc.) and PC-connection interfaces allow to use the FFT spectrum analyzer in various systems, such as stationary, mobile, standalone, industrial, distributed and dynamic; the FFT Spectrum Analyzers show unmatched reliability in various environments and have a wide applicational range. 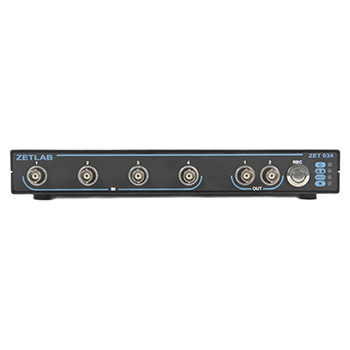 Measuring systems based on FFT Spectrum analyzers of ZET 017 series enable over 100 implementations of algorithms used in the sphere of vibration and sound data processing, including spectral analysis (narrow-band spectral analysis, fractional-octave spectral analysis, wavelet analysis, etc. ), correlational and modal analysis, evaluation of transfer characteristics, Nyquist diagrams and over 1000 software products covering all possible spheres of vibroacoustic analysis. 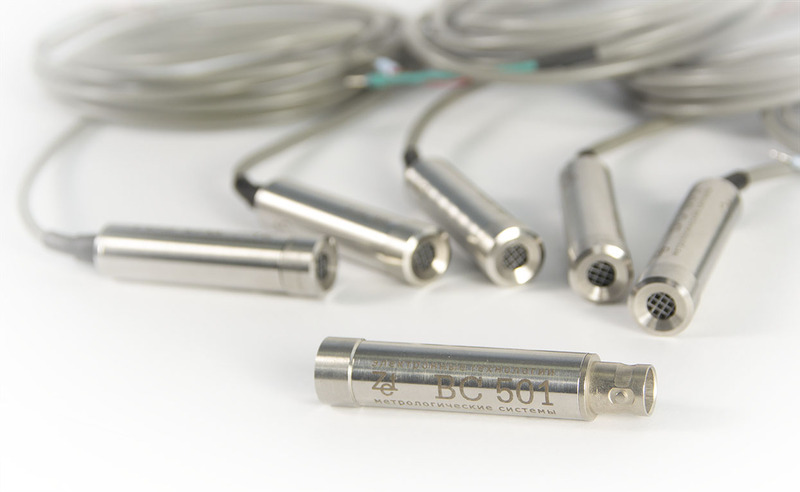 Primary transducers (accelerometers, hydrophones, microphones, RPM sensors, etc.) 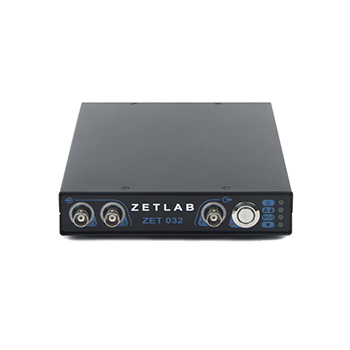 and FFT Spectrum analyzers by ZETLAB Company are used for vibrational, acoustic and hydroacoustic measurements as well as for diagnostics and balancing of rotating mechanisms and gear drives. 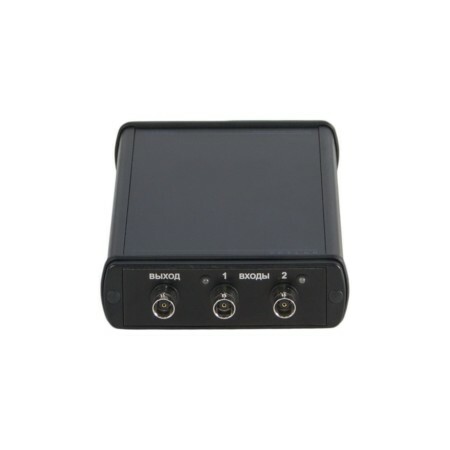 This type of analysis is frequently applied for Vibro-acoustic analysis of various electric drive mechanisms, since it ensures the best frequency resolution, enabling to highlight tones, detect harmonics and structural resonances. Standard analysis types implementing digital filters based on fractional octaves: 1/3-, 1/12- and 1/24-octave bandwidth for machinery vibration monitoring, noise analysis, and sound intensity level evaluation. Tensions and strains occurring in rotary and reciprocating mechanisms can cause forced vibrations accompanied by undesirable noises. Order analysis is one of the most convenient and efficient testing methods for balancing rotary mechanisms and gear units. This type of analysis is applied for processing and visual representation of vibration signals and vibration signal spectra; modal analysis is perfectly suitable for automatic detection of resonance, phases; as well as peak amplitude ratio and damping ratio of mechanisms, parts, constructions and other objects by the free-oscillation method at shock excitation. This method is applied for detection and localization of high-intensity noise sources in complicated mechanisms, or for measuring reverberation time in the course of designing of chamber music halls that are supposed to have certain reverberation time for optimal performance. The wavelet analysis is implemented for the tasks related to speech processing and recognition. Wavelet-transform allows to implement recognition method of the distorted phonemes and teach the right articulation to the people with congenital deafness. 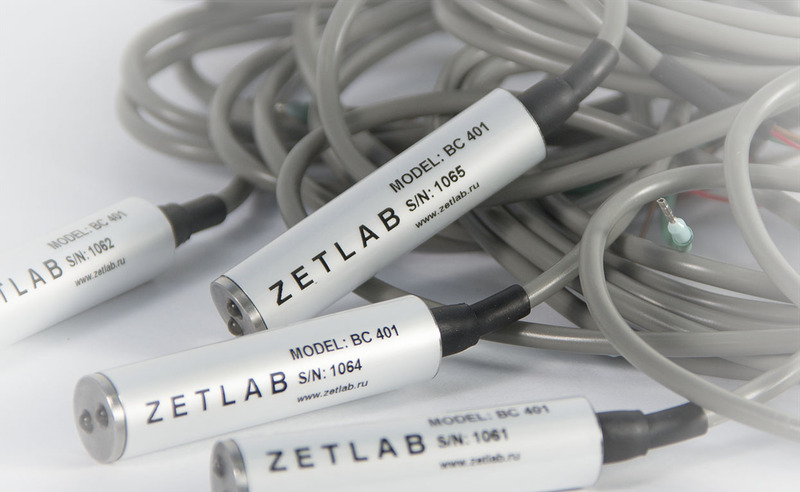 Noise measuring procedures are carried out according to the requirements of IEC 61672-1:2002. Frequency response in complex mechanisms. In the diagram, the amplitude/frequency and phase/frequency characteristics are combined. 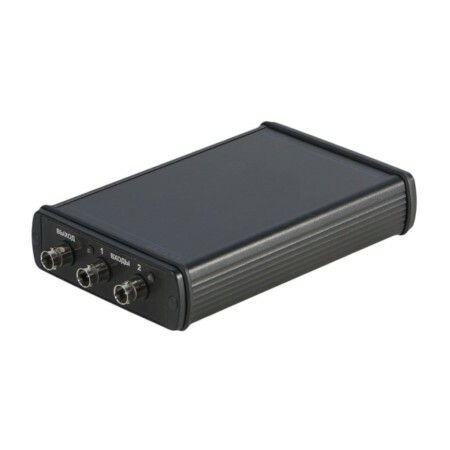 Transfer Characteristics and Frequency Response. Frequency response evaluation of constant, alternating or selective value of a signal in logarithmic or linear scale. 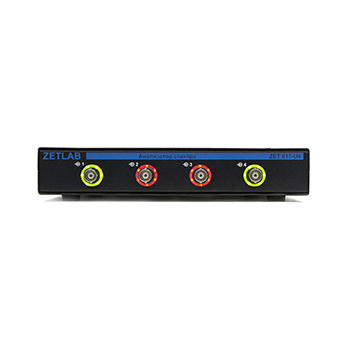 Processing of signals from the input channels of FFT Spectrum Analyzers can be conducted both in the real-time mode and in the playback mode. 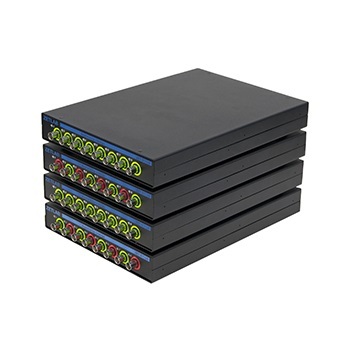 Signals can be recorded simultaneously by several channels (from 2 to 128). 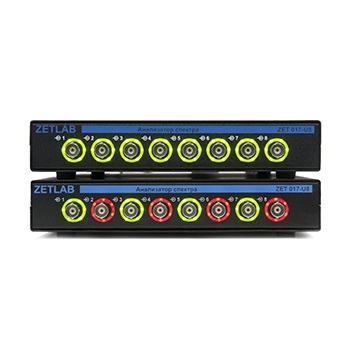 “Formula” and “Signals filtering” programs from the basic scope of ZETLAB Software package enable on-line creation of any signals without any measuring and control instruments connected to the FFT spectrum analyzers. Joint implementation of these programs provides the user with a powerful virtual instrument similar to the programming environment MATLAB! 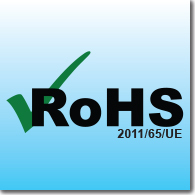 Dynamic Signal Analyzers conform to the requirements of the Directive 2011/65/EU (ROHS, ROHS II) on the restriction of the use of certain hazardous substances (Pb, Hg, Cd, Cr(VI)) in electrical and electronic equipment and manufactured in conformity with the lead-free technology, according to the EU requirements. 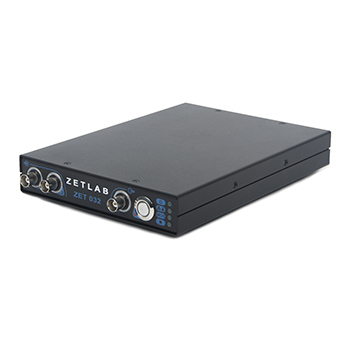 Based on ZETLAB multi-channel FFT Spectrum Analyzers and powerful graphical programming environment SCADA ZETVIEW you can create and combine unique virtual tools, measuring systems, automated WS and testing workbenches. 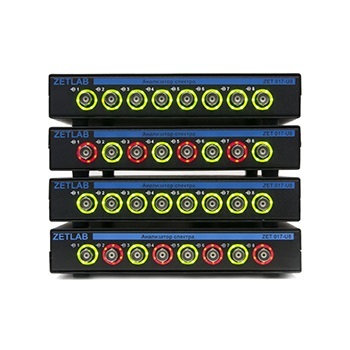 SCADA ZETVIEW has been designed to simplify complex working processes. For this purpose, the system is equipped with a wide range of components enabling project construction of any complexity level. SCADA ZETVIEW is perfectly suitable for designing of completely autonomous projects that can conduct measurements in standalone mode, for analysis procedures, project control and presentation of results. That is why all you need is to start the project, the rest will be done by the system.